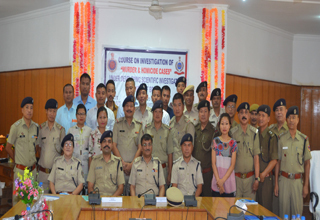 ITANAGAR, Sep 11: The Arunachal Pradesh Police, in collaboration with BPR&D, New Delhi is conducting one week course on “Investigation of Murder and Homicide Case” under the scheme of Developing Scientific Investigator (DSI) at PTC Banderdewa. The training which started on Monday will culminate on the 15th of this month. The DSI Scheme is a new initiative of the BPR&D under the Smart Policing, as envisioned by the Prime Minister of India. 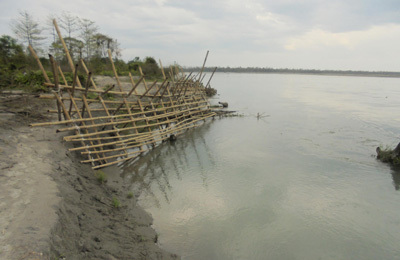 Under the scheme, BPR&D had sought nominations from all the states for holding the course.In the programme, 20 police officers from various districts of Arunachal Pradesh, including two from Assam Police in the ranks of Sub Inspector and Inspector are participating in the course. The training module will cover various aspects of scientific investigation tools, such as Forensic Evidence from Scene of Crime, Brain Mapping, DNA Analysis, Medico-Legal Aspects and law and procedures, etc to impart professional training. Experts from NEPA, Shillong, FPB, FSL and Civil Administration are imparting training. IGP (Admn) Manish Kumar Agrawal congratulated the entire PTC staff for taking a big step by opening the doors of the PTC to the neighbouring police forces. He exhorted that it is a step in the direction of the vision of the Chief Minister who wishes to turn the PTC into a state of the art centre in line with the NEPA. 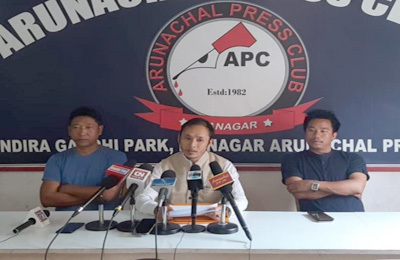 Agarwal hoped that in times to come, with more courses of such kind, Arunachal Pradesh Police will get to interact with the officers of other police forces and learn from their best practices. He also thanked the BPR&D and NEPA for their contribution in this course. Earlier, PTC Principal Dr Navdeep S Brar informed that the PTC has so far provided training to the 45 batches of constable recruits, who are providing yeomen services in maintaining law and order in Arunachal Pradesh. Deputy Superintendent of Police (Training) Dusu Kaling, Officer Gari Tai and other faculty members were also present on the occasion.